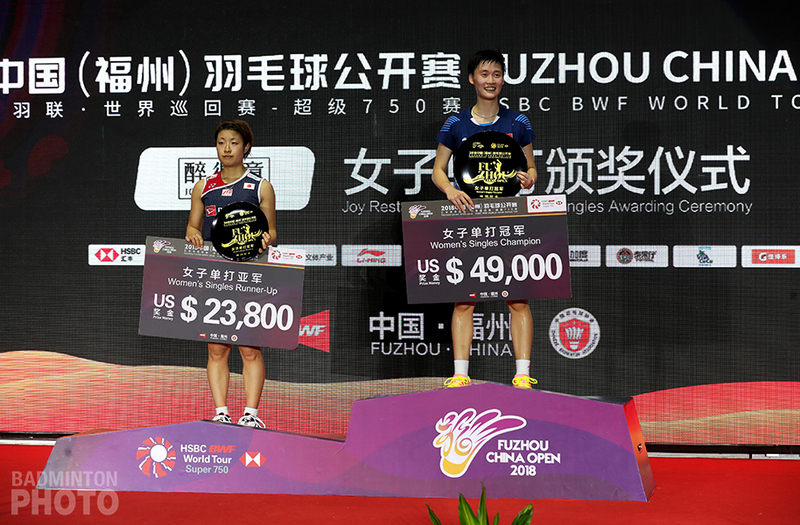 It was her first ever title above a Grand Prix Gold and China’s first in women’s singles at that level in over two years as Chen Yufei beat Nozomi Okuhara to win the Fuzhou China Open Super 750. Two years ago, Chen Yufei (pictured top) came off an amazing final year as a junior. She won the Asian Junior title and then became the only Chinese girls’ singles player to be crowned World Junior Champion since 2007. More importantly, she followed it up almost immediately by winning her first – and only – Grand Prix Gold title. That same autumn, her team-mate He Bingjiao won her first two Superseries titles and it looked as if Chinese women’s singles might get back on track after nearly two years of steady decline and then the retirements and injuries that removed the rest of the previous generation. 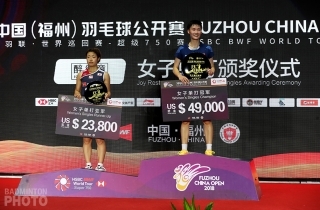 Chen Yufei was playing in her third final of the year at a compulsory event. 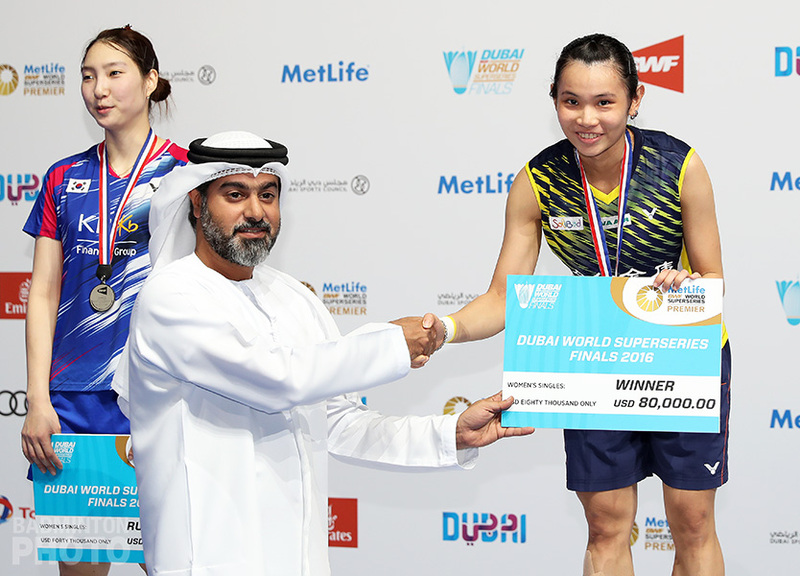 She had been beaten by Tai Tzu Ying at the Asian Championships and at the Indonesia Open Super 1000 and then by Carolina Marin at the China Super 1000. In Fuzhou, she was determined not to settle for silver as she faced former World Champion Nozomi Okuhara (pictured above) of Japan. Chen came out strong and took the first game handily 21-10. In the second, Okuhara put up more of a fight and the two players were tied at 12-all. Then, Chen started to pull away, however, and she remained more consistent to the end, by which time she’d taken the second game 21-16 and earned her first title since the 2016 Macau Open. 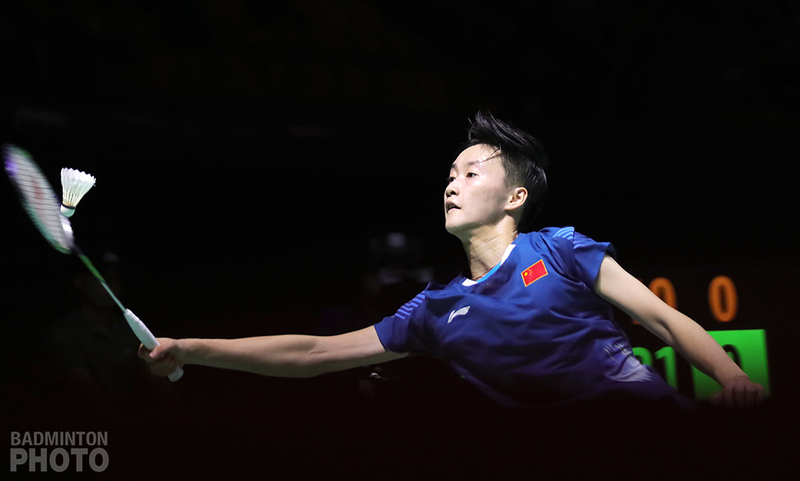 Both players are now assured of a berth in the World Tour Finals in Guangzhou next month, along with Akane Yamaguchi, Tai Tzu Ying, and automatic qualifier Carolina Marin. The remaining 3 spots are yet to be confirmed. 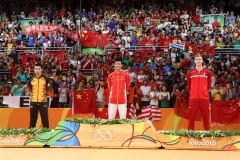 China took two titles on the day. 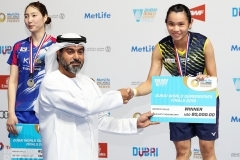 The first one had been assured on semi-finals day, as Zheng Siwei / Huang Yaqiong were playing a repeat of the World Championship final against Wang Yilyu and Huang Dongping. The world #1s again took the title, making it 7 titles in their last 8 tournaments, interrupted only by the Korea Open, where they failed to finish their first round match. Best of the year for Korea! Team Korea has been struggling all year on court and the consequences have been getting some very bad press this autumn. At the same time, though, the players’ results have finally taken a turn for the better. At the last Super 750 event in Paris, Korea produced its first finalists at an event above a Super 300. 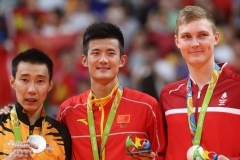 This week in Fuzhou, their shuttlers did one better. In fact, Paris is a memory that Lee So Hee and Shin Seung Chan (pictured) might not like to dwell on. They were forced to concede an agonizing semi-final to Bulgaria’s Stoeva sisters after Lee So Hee cramped up in the deciding game and was ineligible for medical attention. 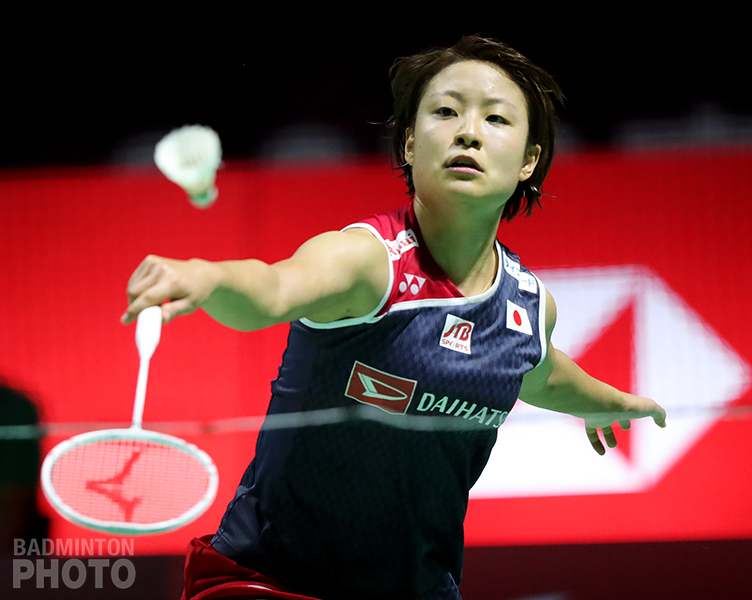 This time, the two Koreans were driven and confident as they faced World Champions Mayu Matsumoto and Wakana Nagahara, who had won that French Open final that Shin and Lee had been unable to reach. The last time these two pairs had met in a final was in the U.S. Open last year, when the Koreans had just been put back together after a long spell with different partners. The first game was ever so close, with the Koreans having to save two game points before moving back into the lead and closing it out in extra points. In the second, Lee and Shin kept up the pressure and survived a worrisome late push by the World Champions that saw their 18-13 lead whittled down to just one point. 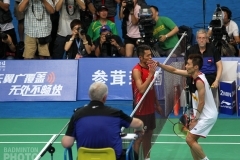 One crisp smash to the floor by Lee and then one into the net by Matsumoto gave the Koreans the victory in straight games. Men’s singles and doubles both went as expected. 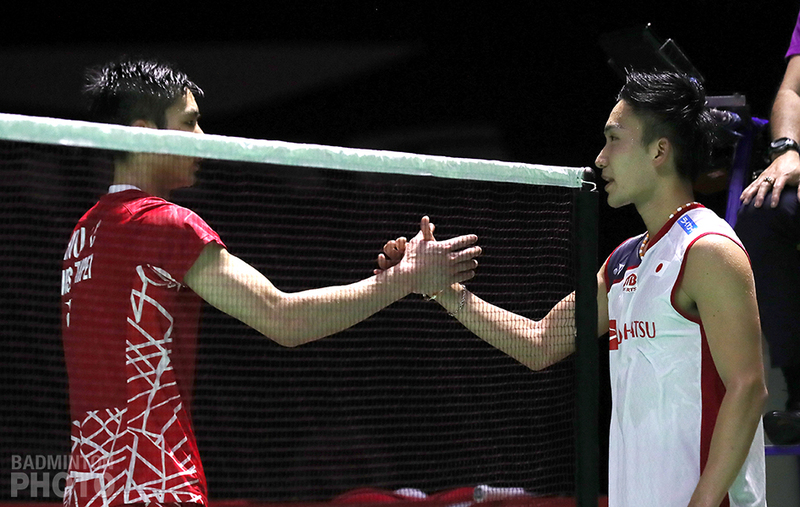 Kento Momota traded one-sided games with Chou Tien Chen (pictured below) before keeping safely in front of the Asian Games silver medallist in the more competitive decider. Momota ended up with his sixth title of the year. In the last final of the day, Marcus Fernaldi Gideon / Kevin Sanjaya Sukamuljo (pictured bottom) were up against it for most of the match against Chinese 20-year-olds He Jiting and Tan Qiang. After dropping a thrilling opening game 25-27, the Indonesians took back control of the net area in the second game. 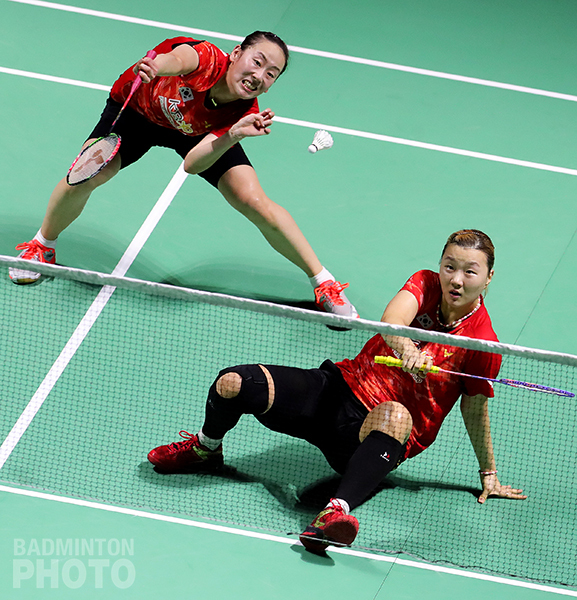 The world #1 pair finally looked more like their usual, dominant selves in the decider but the skill, speed, and strategy of the Chinese youngsters meant the favourites had to work for it all the way to the end. 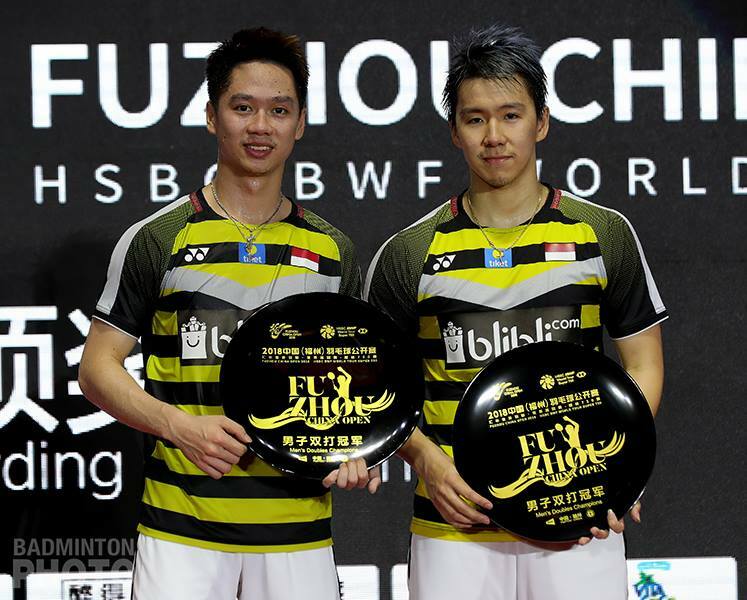 Gideon and Sukamuljo finally ended up adding a 7th World Tour title to their Asian Games gold. 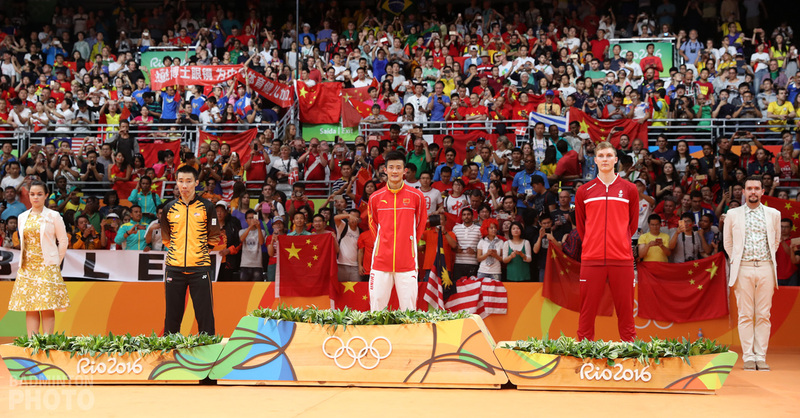 This equals the 7 Superseries titles they won last year, with the Hong Kong Open and World Tour Finals still to come. All finalists will now move down the coast for next week’s Hong Kong Open, after which most will have a 3-week break before the World Tour Finals. Men’s doubles runners-up He/Tan are the only Fuzhou finalists who cannot qualify for Guangzhou and of the rest, all but Lee/Shin and Wang/Huang have already clinched their spots in the Finals. Lee/Shin are also entered in the Korea Super 300, which begins on November 27th.